John Robert Devereux, union organiser, was born in Gormanston, Tasmania, on 8 February 1946, the second of seven children and only son of Albert Bernard and Floris Merle Devereux. His father was a truck and bus driver and labourer. Educated at St Mary's Convent School, Gormanston, St Joseph's School (1954–57) and R. M. Murray High School (1958–61), both at Queenstown, and at the Mt. Lyell School of Mines, Devereux worked as an electrician, becoming a state councillor for the Electrical Trade Union (ETU) in 1968, and state organiser from 1975 to 1978. As acting state secretary he succeeded to the state secretaryship in 1978, holding that office until his election to the Senate in 1987. Federally, Devereux was a member of the union's national executive from 1978 until 1987, and president from 1983 to 1987. He also attended ACTU congresses in 1979, 1983 and 1985 as an ETU delegate. As a 'number cruncher' for the left in the Tasmanian Labor Party, Devereux was strongly opposed to the right-dominated Tasmanian Trades and Labor Council (TTLC). From 1980 to 1983, he presided over the rival Tasmanian Trade Union Council (TTUC), which affiliated the Trades and Labour Councils of Burnie and Launceston. With ACTU mediation, unions affiliated with the TTUC reunited with the TTLC in 1983. Meanwhile, in the passionate controversy surrounding the state Labor government's plan to dam the Franklin River for hydro-electric development, Devereux privately rejected the project as environmentally unsound and unlikely to create jobs in the future. His views resulted in the Hydro-Electric Commission running tickets against him in union elections. When Premier Doug Lowe attempted a compromise, the Gordon-above-Olga scheme (also opposed by Devereux), pressure from union members in favour of the original scheme compelled Devereux to join moves against Lowe, who was ousted as party leader in favour of Harry Holgate in November 1981. Despite Devereux's views, the state council of the ETU threatened to disaffiliate from Labor over the federal ALP's opposition to the dam. The Holgate government lost office to the Liberals, led by Robin Gray, in May 1982. Gray also supported the damming of the Franklin, but the Hawke federal Labor government stopped the dam in 1983. 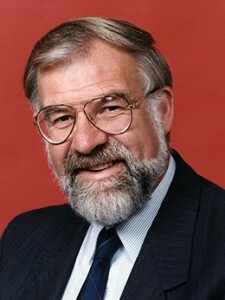 Devereux was vice-president of the Tasmanian Labor Party (1982–83), and president from 1983 to 1987. He strove to reconcile the competing claims of conservation and jobs. He stood unsuccessfully for the House of Representatives seat of Franklin in the federal election of December 1984 and was nominated in March 1985 at the head of the Labor ticket for the multi-member state electorate of the same name. Soon afterwards, as federal ETU president, Devereux travelled to Queensland where a thousand electrical linesmen had been sacked by the Bjelke-Petersen Government during a serious industrial dispute, and he was twice arrested during demonstrations in Brisbane. He withdrew his state candidacy to concentrate on leading his union during the dispute, allowing the state leader, Ken Wriedt, to take the top spot, but was pre-selected in 1986 to head the Tasmanian Labor ticket for the next half-Senate election. Before the election took place, Devereux as state party president backed the federal Labor government's moratorium on logging of the Lemonthyme and Southern Forest areas. The Gray Liberal government and the state Labor Opposition both opposed the moratorium. Nevertheless, when a Labor senator, Don Grimes, resigned in early 1987, Devereux was the sole Labor nomination to replace him. Premier Gray called on Devereux to renounce his support for the moratorium. When he declined and Labor refused to allow any other candidate, Gray called a meeting of both houses of the Tasmanian Parliament which by a tied vote rejected Devereux's nomination as a senator. Gray's resistance to Devereux's candidacy was carried through despite public opposition from federal Coalition leaders John Howard and Ian Sinclair and three Tasmanian Liberal senators. Section 15 of the Constitution, as amended in 1977, requires that a Senate casual vacancy be filled by a member of the same political party as the previous occupant. However, it does not compel the state Parliament to fill the vacancy, or to choose the nominee put forward by the party. Devereux remained in limbo until the double dissolution of mid-1987. Now reduced to fifth place on the Labor Party ticket behind sitting senators, Devereux was fortunate to achieve election for a three-year term. Rejecting polite conventions in his first Senate speech on 21 October 1987, he vigorously attacked the denial of political and union rights by Gray and Bjelke-Petersen in their respective states. He supported an investigation of gross inequalities of income, demanded downstream processing to end wastage of valuable Tasmanian resources and endorsed the Helsham Commission of Inquiry into the heritage values of the Lemonthyme and Southern Tasmanian forests. Moving the Address-in-Reply in May 1990, he urged employers to take 'a far more cooperative approach' in working with the union movement to achieve efficiencies, and suggested that for the 'great benefit' of the environment there 'should be a reduction of energy use by companies right across the country'. Retaining his seat at the 1990 federal election, Devereux became progressively disillusioned with federal and state Labor politics and drew closer to the Greens: 'My view of parliament is that if you analysed all the words spoken the ledger would read "millions of words spoken, effect zero." ... All the important decisions are made elsewhere'. Devereux spoke infrequently in the Senate. On the Public Works Committee, however, he was able to monitor energy use in buildings. As chair of committees concerned with the environment, he initiated investigations into waste disposal. While regarding Caucus meetings as useless, Devereux lobbied, with some success, in Caucus committees and individual encounters. In Tasmania, the 1989–1992 Labor-Green Accord government under Michael Field ended in acrimony. Labor pledged itself never again to govern in a minority. Devereux, on the other hand, was a founding member in 1992 of an organisation, Social Ecological Economic Cultural Alliance (SEECA), to bring Greens and the labour movement together. He said: 'Politicians will only change something when the community forces them to'. On 21 December 1994 Devereux announced his resignation from the Labor Party, arguing that Prime Minister Keating had deceived him and forty-four other Labor backbenchers by pretending interest in their signed demand for a moratorium on old growth logging of significant trees. With some other leading Labor members, he also repudiated the refusal to work with the Greens, arguing that their social policy closely approximated that of Labor. Devereux spent his last year in the Senate as an Independent, but continued to vote with the ALP, except on environmental issues, when he often voted with the Greens (WA) and the Australian Democrats. Formally quitting the Senate on 7 February 1996, Devereux unsuccessfully contested the state seat of Franklin later that month as an Independent. His interests now turned from politics. His long-term interest in horse-breeding led to appointment as secretary of the Tasmanian Pacing Club. Partly disillusioned with the Greens, he rejoined the Labor Party but played little part there. As managing director of the Tasmanian Agricultural Renewal Research Company, Devereux continued to promote environmental solutions. In 1996 he received the inaugural Tasmanian Conservation Trust award in recognition of his work in protecting the Tasmanian environment. Although he made less mark in the Senate, Devereux's Labor career in Tasmania was significant in highlighting the perennial tension between conservationists and developers within the local Labor Party and the Tasmanian community as a whole. Twice married, he has five children. Transcript of interview, ABC Radio, 'Pollywaffle', 25 Sept. 1992; SMH, 18 March 1987, p. 3; 'Profile: Senator John Devereux', House Magazine, 30 Nov. 1988, p. 3. Mercury (Hob. ), 3 March 1994, p. 12; Richard Davis, Eighty Years' Labor: the ALP in Tasmania, 1903–1983, Sassafras Books and the History Department, UTAS, Hob., 1983, pp. 109, 111–3; author interview with John Devereux, 10 March 2010; Lloyd Robson, A History of Tasmania, OUP, Melb., 1991, ch. 29, 'The battle of the rivers'. Mercury (Hob. ), 25 April 1985, p. 3, 18 May 1985, p. 2; Sunday Tasmanian (Hob. ), 15 March 1987, p. 3. Mercury (Hob. ), 7 March 1987, p. 1, 13 March 1987, p. 1; AFR (Syd. ), 11 May 1987, p. 3; CPD, 8 May 1987, pp. 1893–1919; Australian (Syd. ), 9 May 1987, pp. 1–2; Harry Evans (ed), Odgers' Australian Senate Practice, 12th ed, Department of the Senate, Canberra, 2008, pp. 105–7; CPD, 21 Oct. 1987, pp. 1076–80, 9 May 1990, pp. 76–8. Mercury (Hob. ), 3 March 1994, p. 12; CPD, 17 Sept. 1990, pp. 2435–6, 3 Sept. 1991, pp. 1073–4; Mercury (Hob. ), 25 July 1990, p. 4. Michael Field, 'Progressive government in minority: a contradiction in terms?' Legislative Studies, Autumn 1997, pp. 62–7; Mercury (Hob. ), 29 April 1992, p. 17, 22 Dec. 1994, p. 3, 8 Sept. 1995, p. 3; Senator John Devereux, 'Letter of resignation to Mr Gary Gray, the National Secretary of the ALP', SEECA News, Jan. 1995, pp. 5–6; Examiner (Launc. ), 27 Jan. 1994, p. 6. House Magazine, 30 Nov. 1988, p. 3; John Devereux, 'Socialism and the environment' in Duncan Kerr (ed), Reinventing Socialism, Pluto Press Australia, Leichhardt, NSW, 1992, pp. 99–107; 'TCT honours John Devereux', The Tasmanian Conservationist, March 1996, p. 3. This biography was first published in The Biographical Dictionary of the Australian Senate, Vol. 4, 1983-2002, Department of the Senate, Canberra, 2017, pp. 372-374.